This is a redesign concept of the After Activity Drink Sportwater bottle, I added an animation element to it. 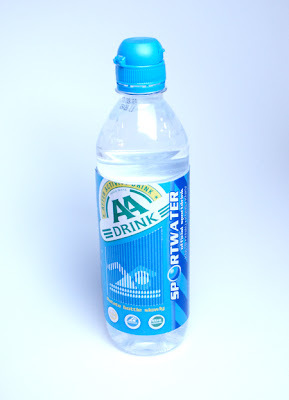 This time a 2 frame animation of the sport icons AA drink uses on their normal bottle designs. I made 3 animation on it, a running, cycling and swimming icon. I kept most of the original styling but I change the information area on the back. The original had a light background with dark text, I changed the background to have the same color as the rest of the bottle. And added the double AA as a watermark in the background. I didn't understand how you solved this design. Did you printed something directly in the bottle or what? Chung Dha Lam, This solution is one of the most brilliant uses of lenticular I've ever seen. You are genius. You will go far! A big company should pay you a Mountain Dew of money for this concept! I hope you get that chance! If it's for the best.